March 13 to 19 was Brain Awareness Week, a global celebration launched by The Dana Alliance for Brain Initiatives. In recognition, Bel Marra Health has gathered articles with a focus on brain health that include information on blood clots in the brain, brain fog, ADHD, and more. 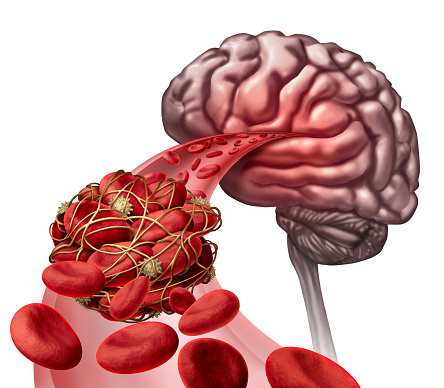 All of us have clotting factors in our body to make sure that we don’t bleed to death if we cut ourselves, but under certain circumstances, people can experience blood clots in the brain that can be life-threatening. Dementia and Alzheimer’s disease are growing concerns as the U.S. population ages, bringing the importance of keeping your brain healthy to the forefront of many medical journals. While we all know to wear a helmet and protect your head when engaging in risky activities, there are more potential dangers to your brain’s health than you may realize. Brain fog isn’t a medically recognized condition, but it is characterized by the feeling of confusion, forgetfulness, lack of focus, and poor mental clarity. Patients describe brain fog as the inability to think clearly. Researchers have confirmed that ADHD—Attention Deficit Hyperactivity Disorder—is actually a disorder of the brain and not just the result of “poor parenting” that leads to bad behavior. Those with ADHD were found to have structural differences within their brains, meaning the variance can be seen physically. The analysis also found that those affected by ADHD had slightly smaller brains and showed evidence of delayed development. Dementia and Alzheimer’s disease cases are on the rise as the world’s population gets older. These brain disorders are associated with significant memory loss and can impair one’s ability to care for themselves. As time goes by, a person’s memory begins to fade away, forgetting loved ones’ names and even important life events. Although Alzheimer’s and dementia are common among the elderly, they are not inevitable parts of aging. While there isn’t yet a cure for these brain diseases, you can take steps to prevent these conditions or at least to slow down their progression.